One of my most frequent food detours is to Chase Side in Enfield town for a sourdough from Holtwhites Bakery. Inevitably, some other treats also find their way into my bag. As well as superb bread, cakes and pastries, there’s a tempting deli counter with cheeses and some excellent Spanish produce. 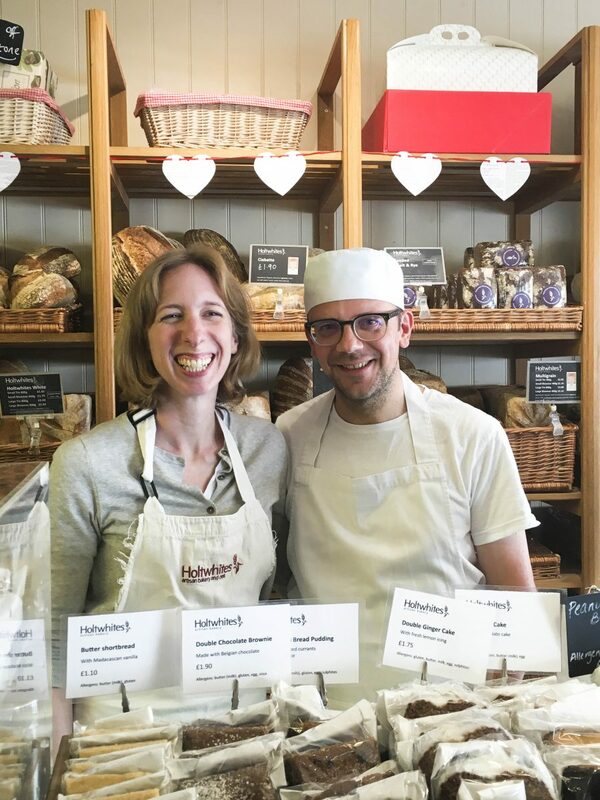 Head baker, Richard Copsey used to live in Spain, but now he owns and runs the bakery with his wife, Kate Smith. Find out more of their story here and come to meet them at the Enfield Food Festival on Sunday 26 August.